Spare tires aren’t cheap, and do you really want to spend $80 on something you might never actually use? Not when 20 rolls of duct tape can apparently be used to make a remarkably functional spare tire, as the mechanics at YouTube’s Life OD discovered. Do you want to take a five-hour road trip on a set of four duct tape tires? No. Do you want to attempt to drift or do burn outs with Goodyear alternatives made from the same material that’s holding your couch together? Also not a great idea. But this experiment is yet another good reason why you should never leave home without a trunk full of duct tape. 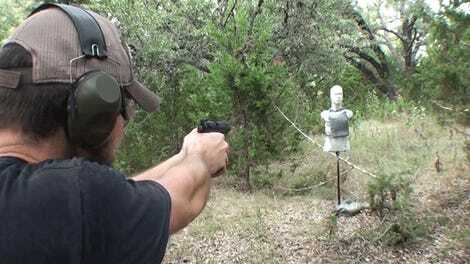 How does homemade body armor made from t-shirts, paper, and duct tape hold up to bullets?